This will class will use the Java's Collection Framework ArrayList to store all the users (studnets id's and passwords). 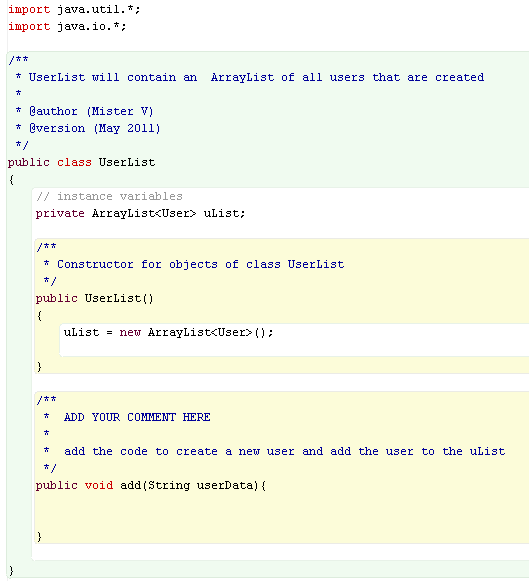 Before you start, look at the Java Array List note and sample code. each user will start on a new line. After you have finished this Phase, you should be able to add as many users as you want through the workbench and set their passwords.